The city is looking for developers to build affordable units on four separate sites, as part of a plan to create 10,000 units over the next decade for people on limited incomes. It’s part of NextGeneration NYCHA, which is a plan to build new developments on housing authority-owned property, the Wall Street Journal reported. Many of the buildings were built decades ago, and have room for additional development, according to the newspaper. The authority released a request for proposals yesterday, seeking developers to build up to 850 units. Among The Four Sites Is Haborview Terrace, an apartment building at West 55th Street off 10th Avenue. Its parking lot would be replaced with a new building with 200 to 250 units and a community facility. The other sites include Sumner Houses in Bedford-Stuyvesant and two locations in the Bronx — Twin Parks West and Morrisania Air Rights. 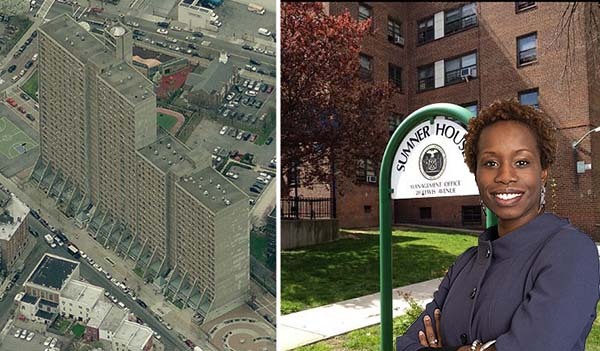 Last month, the city tapped Fetner Properties to build a new 47-story apartment building on the Holmes Towers’ playground site in Yorkville. Wyckoff Gardens in Brooklyn is also in the “pre development” phase.